Join us to visit Lima, explore the Cusco region, and do a 1-day hike to Machu Picchu (optional). This ladies-only adventure will be a trip-to-remember. The Spanish conquistador Francisco Pizzaro founded Lima in 1535. Here you will find the broken glamour of the colony as well as the boiling vitality of an oriental bazaar. You have melancholic cloud covered winters and light warm summers, and next to extensive slums you will see beautiful old buildings in quiet, elegant corners, where the evening air smells of jasmine. In Lima you will find the decadence glamour of the colonial time as well as the boiling diversity that reminds of an oriental bazaar. Machu Picchu is a mystical place, a monument to divinity, where people can feel that they are a creation of God. The high sense of spirituality that inhabits this place seems to transport its visitors to a place where everything "in an unimaginable way" is possible. 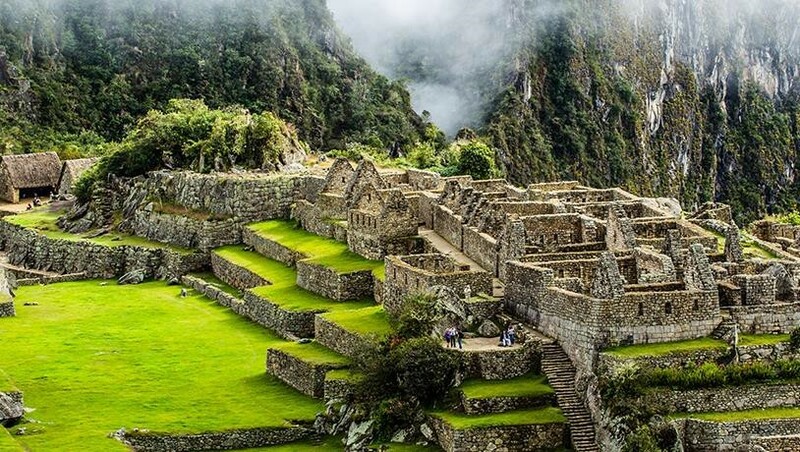 It is a place where strange forces of nature allow the individuals to reach an incomparable cosmic state, a state that can only be experimented in Machu Picchu. It is one of the most popular archaeological sites of the world, and therefore, the most visited attraction in Peru. The Citadel of Machu Picchu (in Quechua language " Old Mountain") is known throughout the world for its amazing ruins and its unusual location on a high mountain overlooking the mighty currents of the Urubamba River. Even today nobody has been able to solve the mystery how the builders and designers managed to transport the huge blocks of limestone to the top of the mountain required for the construction of the city. Cusco is a city living in the past as well as in the present. 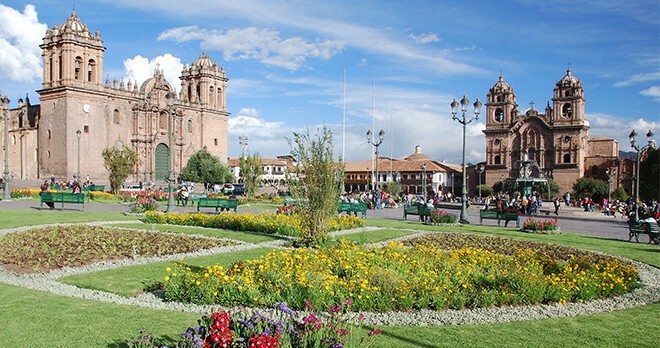 Almost half a millennium after the Spaniards arrived; Cusco is a meeting point for two cultures. The Indian traders on the markets speak Spanish with the tourists and Quechua among themselves. The Incas called their most important city Cusco, the navel of the world, as they held the navel for the centre of life. Click the map below to explore our destination on Google Maps! Questions? Contact any member of the Stewart Travel Group team. Requested roommate matches cannot be guaranteed. If a roommate is not available, a single supplement of $869 will be required. Travel protection that includes trip cancellation, trip interruption, baggage loss / damage / delay, flight / travel accident, and emergency medical coverage is available and is highly recommended. Details about our Premium Protection Plan and other Travel Protection options are available from your Trusted Travel Advisor. If you would like to purchase your Travel Protection online, or are located outside of PEI, please visit the “Look & Book” page on our website and click “Travel Insurance” to purchase your travel protection. 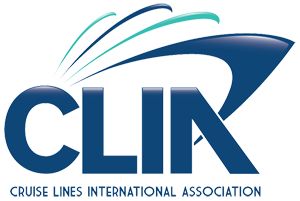 By declining insurance, you will waive any liability against your Trusted Travel Advisor or Stewart Travel Group for any costs you incur as a result of your choice not to purchase Travel Insurance Coverage or your selection of the principal sums and / or sums insured of the insurance you purchase. Any exceptions will be noted upon request with Stewart Travel Group and its appointed Agents. Travel on Air Canada from either Halifax, to Lima, Peru. Upon arrival you will be met by our local representative and private transfer to the hotel. Our local representative will be located outside the baggage claim area holding a sign with your names. Breakfast. 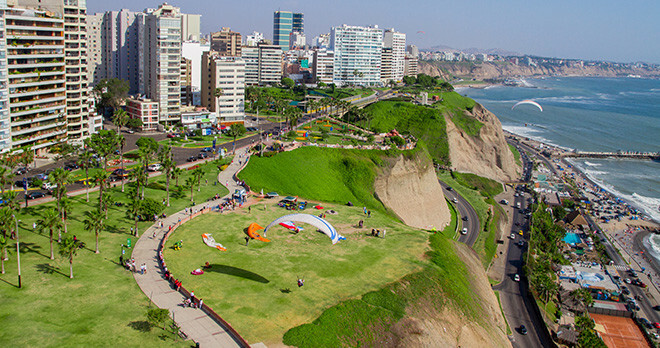 In the afternoon, enjoy the Lima City tour: Colonial Lima (Main Square, Government Palace, City Hall, Cathedral of Lima and San Francisco Convent). At the scheduled time, we will pick you up at the hotel to begin a tour of the city’s main avenues, boulevards, and squares. The tour will begin with a panoramic view of Huaca Pucllana, a pre-Columbian site from the 4th century, found today in the chic Miraflores district. This adobe structure was used for administrative and ceremonial purposes during the time of the ‘Lima Culture’, which flourished some 1,500 years ago. Then, we will continue the exploration of Colonial Lima. 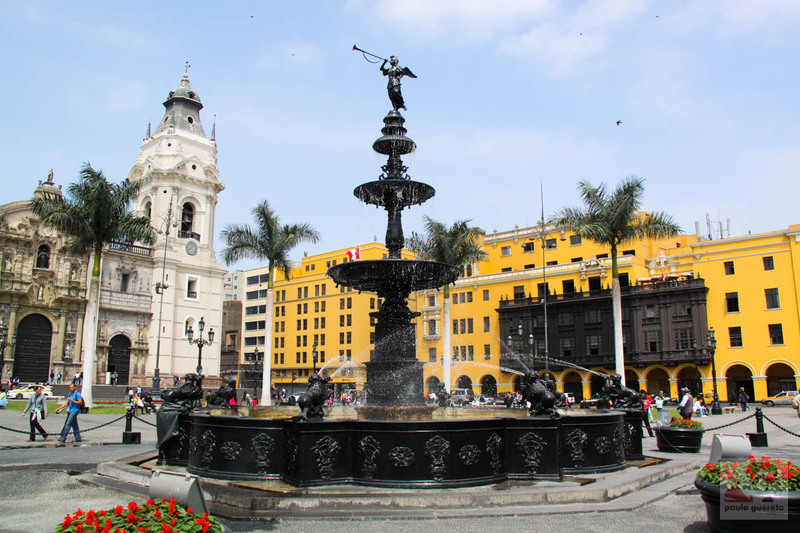 First, we will stop off at the Main Square, to get a chance to explore the square on foot and admire the exteriors of the Government Palace, the Cathedral of Lima, and the City Hall, all examples of Lima’s still- present colonial architectural opulence. 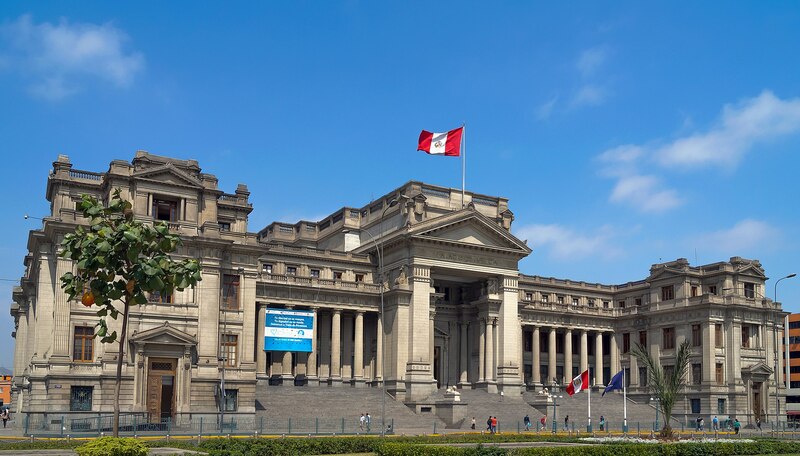 We will visit the Cathedral of Lima; as walking through the Cathedral’s numerous chapels, we’ll travel to the past and discover various architectural styles (from Renaissance to Neo- Classical), and learn about the religious history of Peru. Our tour continues with the visit to San Francisco Convent built in the 17th century, and its “Catacombs” ancient underground cemetery of Lima. Breakfast. 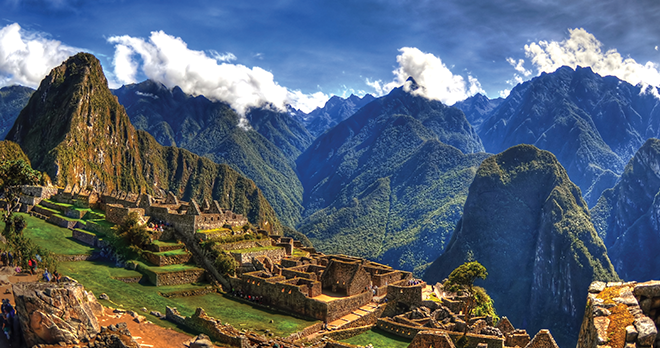 Fly to the beautiful city of Cuzco which was once the capital of the Inca Empire. Arrival, meeting with your guide and transfer to the hotel in Sacred Valley touring the area. 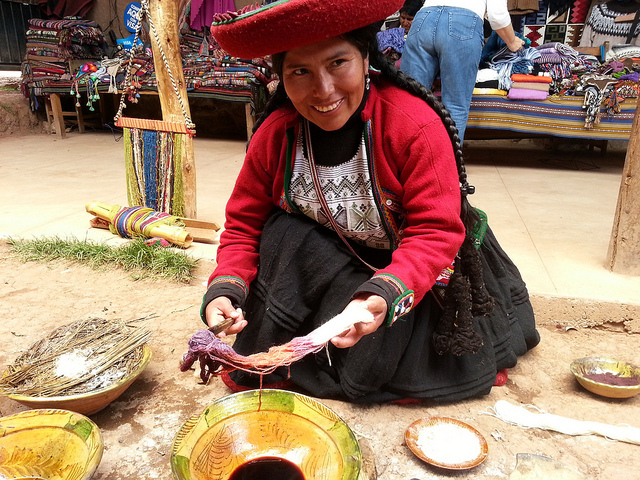 Visit to the Sacred Valley: Chinchero Weavers and chicheria, lunch included. This morning, we will continue the trip toward the Sacred Valley, at 17,40 miles (28 km) away from Cusco, we will find Chinchero village, with an altitude 9,240 feet above sea level (2,816 meters), famous for the extraordinary beauty and quality of its textiles, and for its Sunday fair, where local people dress in traditional colorful outfits and travel down from their villages to trade their goods. Walk along its traditional alleyways, next to your guide, and visit the weavers’ workshop of Nilda Callañaupa, who 28 years ago decided to bring together like-minded women who shared her passion for weaving, and in time was able to motivate younger women who had lost interest in weaving to learn from their elders and connect once more with this ancestral art. She began working in the yard of her own house in Chinchero, and in 1996 her project became the Center for Traditional Textiles of Cusco, a strong organization dedicated not only to the preservation, but also the commercialization of beautiful, high quality textiles. During our tour, we will visit the home of a local family and learn about their way of life, where the fire clay stove and farming tools are valued and necessary. Then, we will visit a typical Andean establishment, a "chicheria”, known for the home-brewing of chicha, the typical Andean drink made of germinated maize. Breakfast. Journey to Aguas Calientes. Aboard a comfortable train (Expedition Service), you will depart for the Aguas Calientes train Station, enjoying a spectacular view along the way. Optional visit to the local hot spring and market. Optional pre-booked the ‘1-day Inca Trail’ hike. Those who have purchased and will disembark the train at 104km and trek to the Sun Gate for the first glimpse of Machu Picchu before re-joining the group at Aguas Calientes for the night. Breakfast at the hotel. Today visit to the Historic Sanctuary of Machu Picchu. This day, you will visit the Santuario Histórico de Machu Picchu (Historic Sanctuary of Machu Picchu). You will board a bus that will take you to the entrance gate of the Machu Picchu citadel. Follow in the footsteps of the ancient Incans as you explore this magical citadel along with the tour guide. The afternoon is free time in Aguas Calientes. Breakfast. Enjoy a free morning in Aguas Calientes. At the scheduled time, you will be picked up and taken to the Aguas Calientes train station to board the return train. Upon the arrival at the station just outside of Cusco, our private transfer service will be waiting to take you back to your hotel in the city. Optional Cusco city tour & nearby ruins: At the scheduled time, we will pick you up from the hotel to begin the exploration to the nearby ruins: the fortress of Sacsayhuaman, a colossal structure of enormous stones, carved and fitted together with incredible precision; Qenqo, the religious center; we will enjoy a panoramic view of Puca-Pucara, the red fortress and then we will visit Tambomachay with their water fountains. 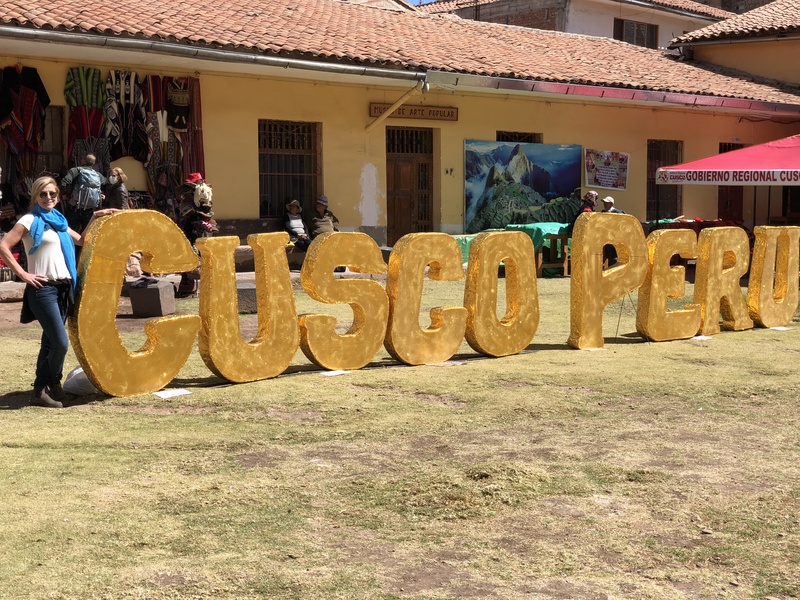 Afterwards, our tour continues in the Imperial City, we will stroll through the Main Square, where we will discover the Cathedral and admire its exquisite vestibules and priceless paintings from the Cusco School of the 17th and 18th centuries. We will continue with a visit to one of the most impressive buildings of Incan Cusco: the Qoricancha (the Golden Temple) - a temple dedicated to the worship of the Sun God, whose interior walls were said to have been covered in gold. Optional join us on a cooking class: Includes transportation, guide accompaniment, and demonstration and practice class that includes interaction and tasting). The options are ceviche or lomo saltado, in addition to pisco sour preparation). Breakfast. Morning at leisure. Check out at the hotel at noon. Transfer to the airport for your flight back to Lima. Optional accommodation at the airport hotel until the departure of your flight to Canada, which will depart at 1:30 am on June 11. Tara is a Trusted Senior Travel Advisor at Stewart Travel Group. 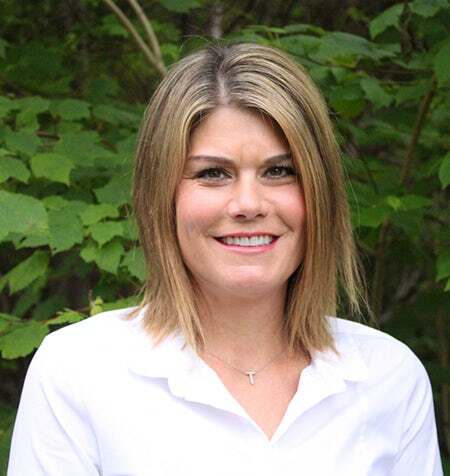 She has nearly 20 years of experience in the travel industry and has traveled extensively. 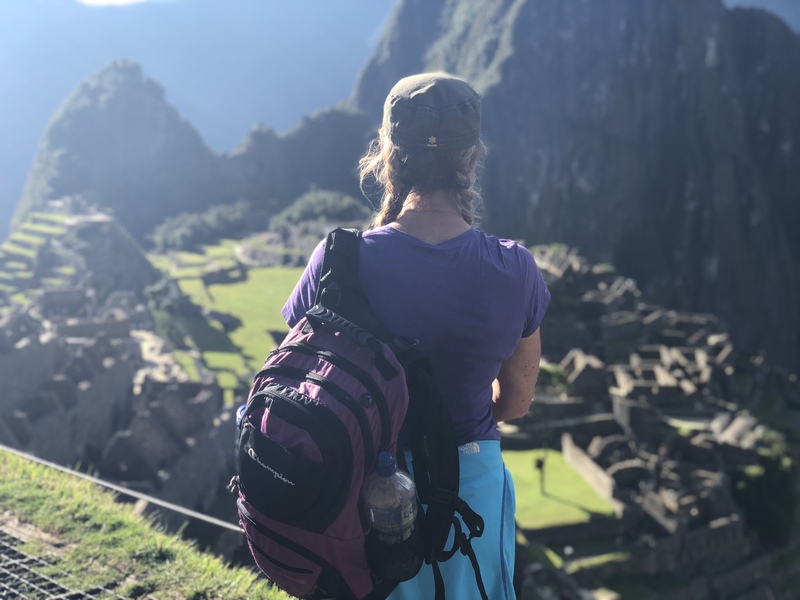 Machu Picchu has always been on Tara’s bucket list and she wants to help you check it off yours as well. One thing is certain – you will be well-taken care of on this adventure.